Regular scheduled maintenance is one of the most important things you can do to assure your equipment performs to its maximum efficiency for its intended life. As a representative for over dozens of kitchen appliance manufacturers, we can assist you with warranty information on your equipment and preventative maintenance services to help reduce your overall operational costs. Our Maintenance Programs extend the life of your equipment, stretching your investment dollar and keeping you operating at top performance. 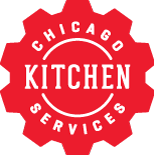 Our contracts can be customized to your needs, whether à la carte or full kitchen coverage.